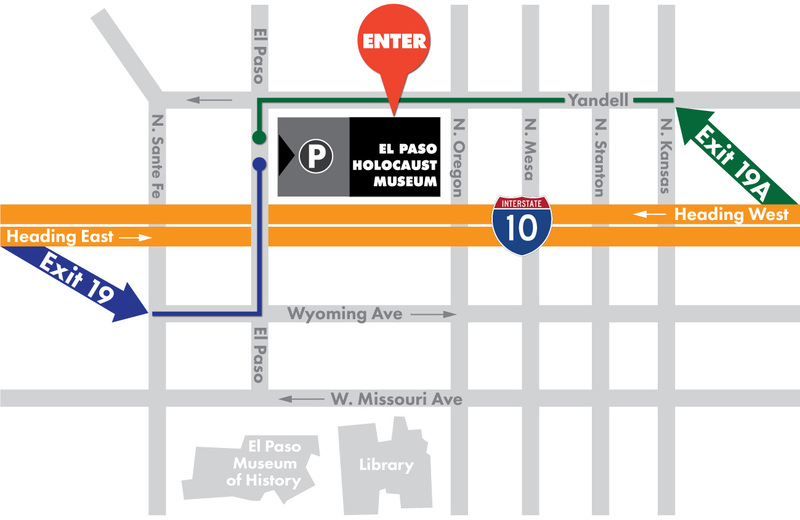 N. Oregon & El Paso St.
corner of Yandell Dr. & El Paso St.
All self-guided tours must begin 30 minutes prior to scheduled closing times. Slight left onto Wyoming St. Turn left on El Paso St.
Take Exit 19A towards Mesa St.